I have been doing a lot more reading, thinking, and planning for companion planting after hearing Dan Kittredge speak at OEFFA a few weeks back. (Read about the conference and talks in this post on OEFFA Conference 2017.) I’m interplanting things I haven’t mixed up before and looking ahead to what I can add later to long season crops beds I am sowing now. All this in order to create symbiotic relationships between the plants so they are feeding and protecting one another, and the microbes in the soil, better. I’m also looking at the Farmer’s Almanac’s Garden Calendar for some advice on optimal planting dates. 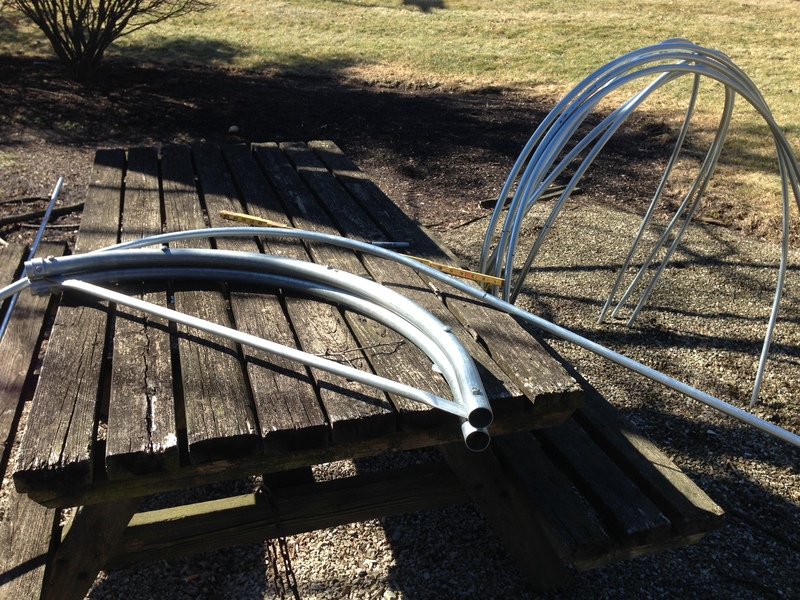 I’ve been wanting to get a better handle on biodynamics. Using the Farmer’s Almanac in conjunction with a few biodynamic calendars I’ve been consulting seems like a relatively easy way of getting started. 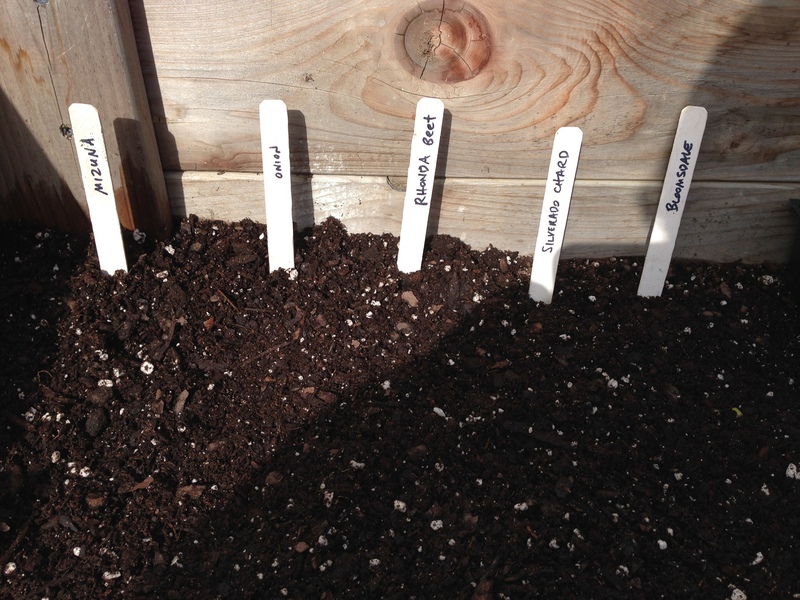 According to the calendar, today was an optimal day for planting root crops so I set some radishes, carrots, and beet seeds out. 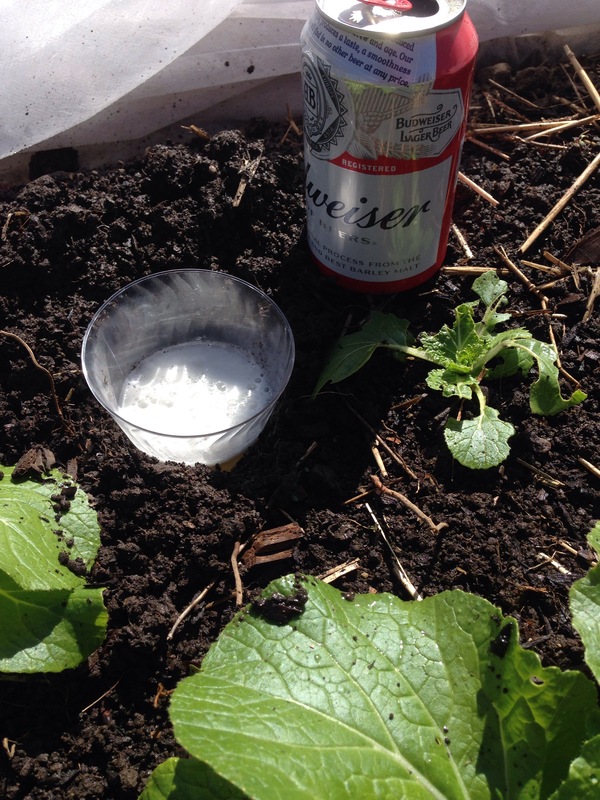 I added a bit of innoculant to the seed packs, per Kittredge’s suggestion that the minerals in this dust help germinating seeds develop the systems they need to absorb and digest nutrients throughout their lives. Kittredge compared this with the precious colostrum nursing mammals produce for their babies in the first few days of life. Colostrum helps human infants develop healthy gut flora. I want my plants to have healthy guts because I’m sure it’ll mean I’ll have healthier gut too! Tomorrow is a good day too, so it isn’t too late for you to get busy on your own early-early spring planting plan. 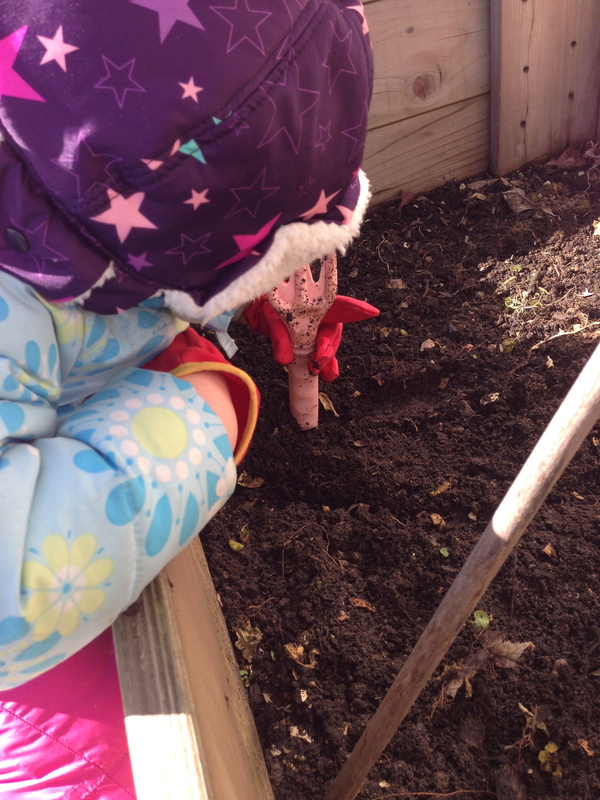 Here are a few scenes from the field this afternoon to get you planting your own fertile ground. Red and Green Giant Mustard with Radicchio. Unidentified Red Leaf Lettuce, Raddichio, and Sassy Salad Mix. Soil is starting to look REALLY good. Hard to believe this was compacted clay three years ago. Felt a little guilty moving these cilantro seedlings but they were in the high tunnel only temporarily and suffering because they were planted over a spot that had been compacted, wood-chipped lined paths.Hoping to see their leaf color and vigor improve in the field. 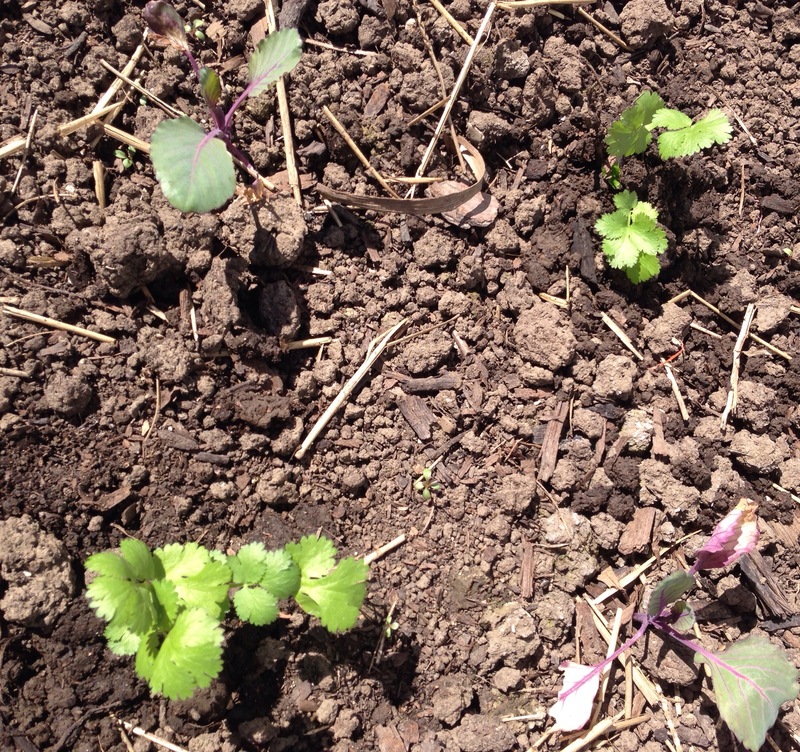 Fall planted Red Russian Kale and Red Giant Mustard with January sown spinach coming in between. Under a low tunnel. Categories: Eating from the garden all year round, Scenes from the Field, Season Extension, Winter Harvest | Tags: Biodynamics, Cold Weather Crops, Columbus Urban Farm, Dan Kittredge, Eat More Greens, Farmer's Almanac Gardening Calendar, interplanting, OEFFAcon2017, Over the Fence Urban Farm, permaculture | Permalink. Like all bloggers, I tend to emphasize our successes in the field. (I did write about some ugly carrots at one point and I stand by my love of fruta feia.) Today I thought I would share a failure. 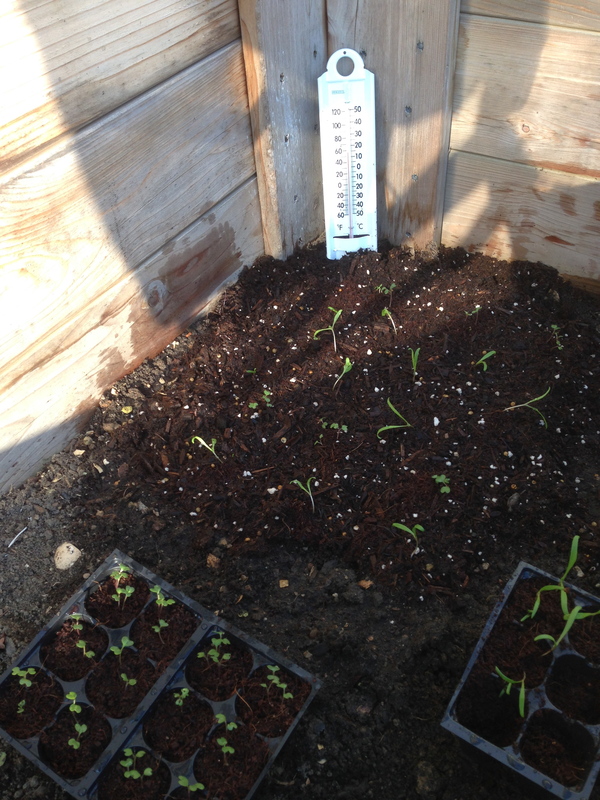 About 3 weeks ago, we set out some red cabbage starts. You can see them on the bottom right of this image. Looking back on them now, they definitely look like they could have used a few more weeks under the lights inside before transplanting. But, it was warm and the plants on the other side of the tray were ready to go. Before planting, I consulted folks on the Ohio Homesteaders and Gardeners Facebook group. As you can see, I wasn’t alone in my poor previous attempts. I took the comments about feeding cabbage well and providing a stable environment to heart and set them out with a nice dousing of fish emulsion and a frost blanket. I should have taken more seriously the post wishing me luck. I’m sad to those seedlings are not looking great at this point. In the photo below you can see a few (top let and bottom right) which are pretty leggy and have burnt leaves. These were two of the best looking ones I found. Thankfully, I had some cilantro and boc choi in need of a home so I spent yesterday afternoon interplanting those between a few cabbages that will get one more chance to get going. With overnight temperatures in the 20s expected on and off this week, their outlook is not all that great. I might try starting a few more red cabbage plants before we get much closer to the frost our date. Maybe. Below is another problem we’re facing. The Napa cabbage we set out the same day as the red is looking good — leafing out and emitting a gorgeous green glow. However, slugs have been feasting on them. Yesterday I set out a few beer traps and hope to find some treats for the chickens later today. This is my first try with this so I’m not sure I did it right. I’ll be sure to report later. 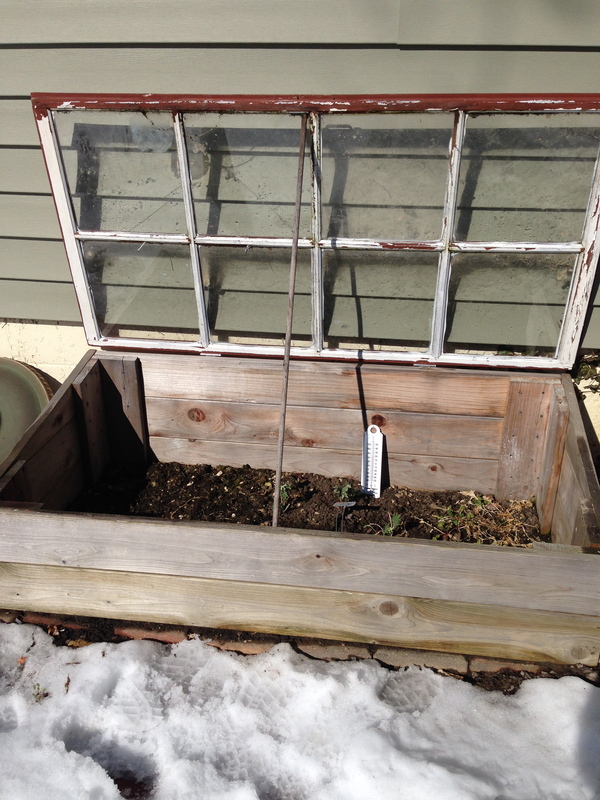 Categories: Scenes from the Field, Uncategorized | Tags: Backyard Cabbage, Backyard Farming, Cold Weather Crops, Farm Failure, Growing Cabbage, Seedlings, Slugs, Urban Farming, Urban Farming Columbus Ohio | Permalink. Like much of North America, we’ve been experiencing record cold temperatures in central Ohio this winter. This has folks all over town dreaming of warmer days. And gardens. We’re doing more than just dreaming. We’re sowing seeds. The past few years we’ve been planting things earlier and earlier, but this is definitely a new record. The past 48 hours we’ve been priming a few spinach seeds Jodi picked up at the City Folks Farm Shop seed swap a few weeks back. We have some nice south-facing window sills in the kitchen we’re going to try to grow them on, but if that’s not enough light, we’ll move them under the grow lights. Next week we’ll plant another round. 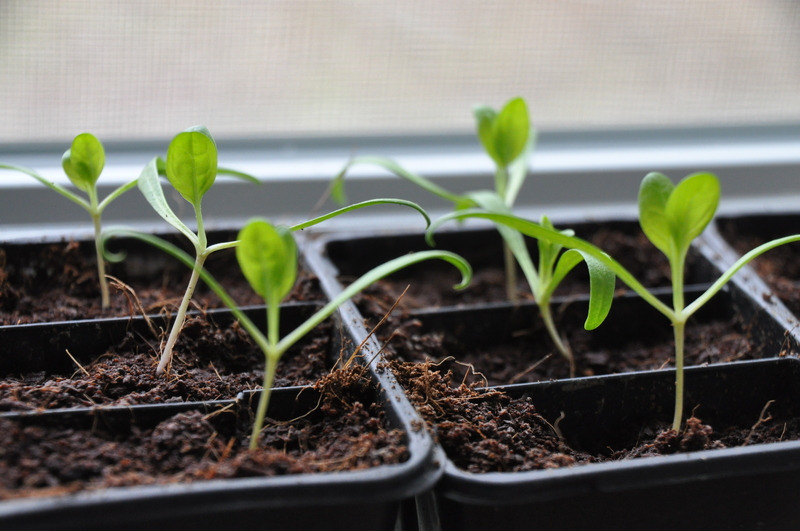 There are few things more magical than watching things grow up from seeds. With the weather as cold as it’s been around here, we could all use the distraction. 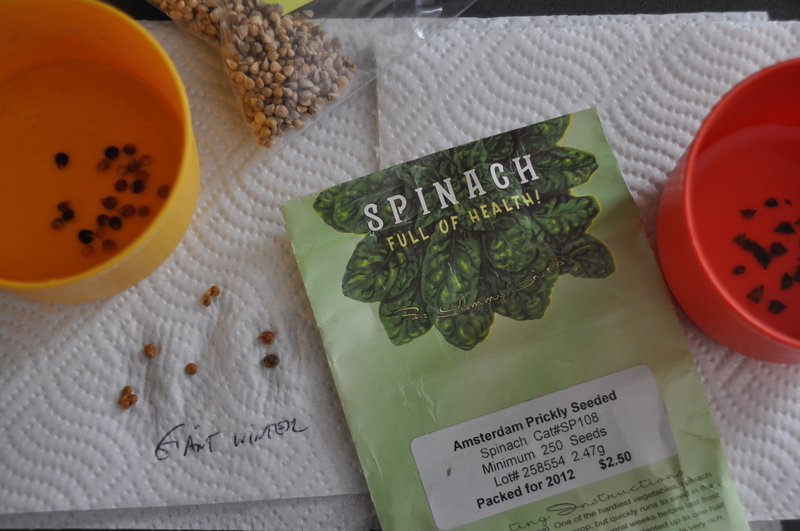 Categories: Uncategorized | Tags: Cold Weather Crops, Coldest Winter on Record, Polar Vortex, Seed Swap, Seeds of Hope, Spinach, Sprouting Seeds, Urban Farming, Urban Gardening, Urban Homesteading | Permalink.